There are ten Premier League games occurring this weekend and four of those are televised for us football fans. It should be a very entertaining weekend and below I’ve recommended a couple of my favourite bets for this weekend’s fixtures. 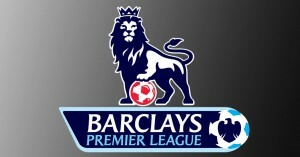 The current Premier League champions, Manchester City, host West Bromwich Albion in the early kick off on Saturday. Man City are currently second in the Premier League table and are six points behind Chelsea who also have a game in hand. Manuel Pellegrini’s side have no chance of retaining their Premier League title and they must now ensure that they finish inside the top four. Manchester City’s opponents today, West Brom, are 13th in the league table and are all but safe from relegation. Tony Pulis was appointed as West Brom manager in January and he has already guided them to safety. West Brom come into this match in good form, they’ve won three of their last five Premier League matches and beat an inform Stoke City side 1-0 at the Hawthorns last weekend. On the other hand Manchester City are in very poor form for their high standards. They have won just four of their last 12 matches in all competitions and were beaten 1-0 by Burnley last weekend. I don’t expect this to be an easy game for Manchester City as Tony Pulis will inevitably set his side up well, thus making it hard for City to break the Baggies down. Since Pulis’s arrival at West Brom, they have played nine games and six of those have had under 2.5 goals. Manchester City’s last couple of games have both finished with under 2.5 goals and I’m more than happy to side with under 2.5 goals at generous odds of 7/5. Steve Bruce’s Hull City side face top of the table Chelsea at the KC Stadium on Sunday, in a game which is relatively important for both sides. Hull City looked doomed not so long ago but they’ve only lost one of their last five matches and they now sit in 15th position, however they’re far from safe yet. Hull’s opponents, Chelsea, are six points clear at the top of the table with a game in hand. Jose Mourinho’s side have almost certainly won the league however they need to return to winning ways. Chelsea have only won two of their last six matches in all competitions but you have to fancy them to beat Hull on Sunday. Hull City have struggled against the better sides in the league this season. They have faced four of the current top seven at home and they have lost each of those games and I don’t give Steve Bruce’s side much of a chance against Chelsea. Chelsea can be backed to win this match by two or more goals at a very generous price of 11/8. These two teams have met on four occasions this century at the KC Stadium and Chelsea have won three of those meetings by two goals or more and I’d expect that to be the case once again.